Capturing memories using a smartphone is different than having photos that are exclusive to you and those who share the moments with you. With an instant camera, you can add fun to your memories with tangible photos that can be kept a diary to your beautiful events. Despite living in a digital world, instant cameras still have a huge demand in the market. I understand that there are plenty of instant cameras out there and you may have been confused about which of them are the best instant camera for you. When considering which instant camera to buy, you probably should also study and compare the instant cameras features like body, control setting, battery option, screen, size, warranty etc. 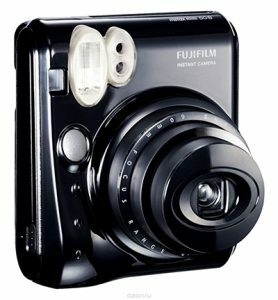 Fujifilm is a Japanese brand that has been internationally recognised for its affordability and good quality cameras. 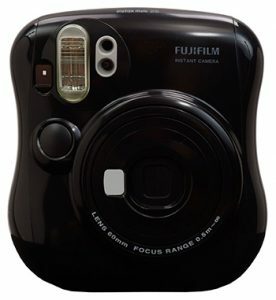 INSTAX Mini 8, the instant camera produced by Fujifilm is one of the best instant cameras sought after currently. It is priced at as cheap as $50.99 with better features. The new INSTAX Mini 8 has a lighter and slimmer body design with attractive colour models. At only 6.4 ounces of weight, you can now easily carry an INSTAX Mini around anywhere you go. The body design of this instant camera is basically similar to the previous model. There is a button at the side of the lens to turn the camera on. It also has an automatic exposure level where it indicates the recommended aperture setting and brightness can be adjusted to 4 different exposure levels (Night/Indoor; Shade/Cloudy; Slightly Cloudy/Sunny; and Bright/Sunny) by twisting the knob around the lens. The High-Key mode feature allows the user to snap a picture of extra brightness with soft atmosphere while the viewfinder above the snap button improves focusing and thus photos can be shot with better clarity and visibility. Beside the viewfinder is the always on flash LED light mode. At the back side of the camera’s body is the film compartment and battery slot is on the right side of the snap button. INSTAX Mini 8 as an analogue camera is using 2 AA batteries to operate. The INSTAX Mini 8 has a flash with 0.2 to 6 seconds of recycle time and a fixed shutter of 1/60 seconds speed. The always-on flash mode feature is somewhat unfriendly to user without the on or off flash mode option. Even though it somewhat works for low brightness surroundings, but picture sometimes can be less clear and too dull. You have to also make sure not to close your eyes when photos are taken. User who is sensitive to light tend to blink when flash mode photo is taken which can waste the expensive film which uses exclusively a business card size Fuji INSTAX film measured at a dimension of around 62 mm x 46 mm. Any error can lead to wrong colour and exposure level too. Another downside of this INSTAX Mini 8 is that user has to take a close up picture as autofocus is unavailable and the focus range is of minimum 6 mm. Taking picture can be a challenge without the autofocus function. It works awesome with portrait-style photo but not so for scenery or object shots unless if you are proficient with this camera. 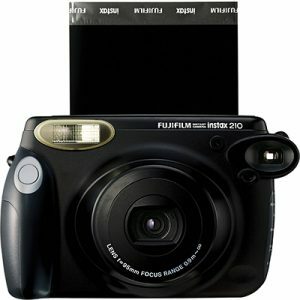 With Fujifilm INSTAX Mini 8, a decent picture can be captured in a correct environment with an accurate exposure level. All in all Fujifilm INSTAX Mini 8 is an affordable instant camera option that has the same quality as other expensive choices with similar features. INSTAX Mini 90 Neo Classic is another instant camera from Fujifilm that is worth buying in 2016. 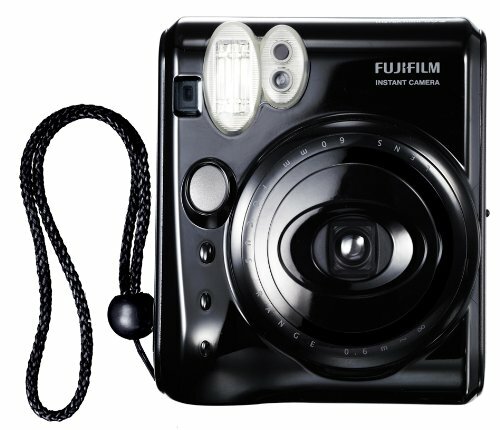 With the retro body design, Fujifilm proves it can produce a variance designs of instant camera, not just the toy-looking ones. The INSTAX Mini 90 Neo Classic is among the best party cameras in 2016. The interesting feature of the INSTAX Mini is that it has 6 cool exposure mode selections. The party mode lets in more ambient light and level out the exposure from the built-in flash by making use of the camera’s long shutter. The kid mode which is very effective in a low light condition is best at capturing moving subjects by utilising the short shutter to halt the movement. When shooting subjects that are 228.6 mm away, it is best to use the landscape mode. Since this instant camera features 60 mm lens, the macro mode comes into use when you capture close-up photos at the minimum 3 mm range. The bulb exposure mode allows the shutter to open for the most 10 seconds while depressing the shutter button by employing tripod socket at the bottom of the camera to shoot long trail of exposures. Another exciting exposure setting is the double exposure mode which is able to capture two different subjects in one frame when you double press the shutter that can signify uniqueness and creativity of the output results. 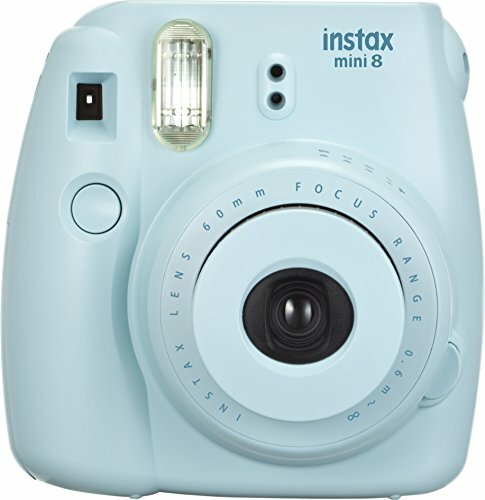 The INSTAX Mini can optimize shots’ quality by adjusting the shutter speed and flash amount while automatically senses the surrounding brightness. Brightness can also be manually adjusted to suit your surrounding from normal, bright, brighter to dark options. Another upside of this camera is that the flash is capable of handling illumination due to the F/12.7 fixed aperture setting. Having more influence over the setting does contribute to the inclination of moment capturing with the camera. Another thing that I like about this camera is it uses a rechargeable battery, lithium ion which could last over 10 film packs. Not just you can save up from buying another battery when your current one has dried up but you do not have to charge over weeks to shot your meaningful occasions. Even with 5 packs of film, your camera can remain at a strong battery power. Taking a shot by focusing on the viewfinder requires capability to find a perfect alignment to match the lens’ and viewfinder’s focus. Since the position of the viewfinder is a bit offset from the lens, wrong focus could result in wreck image. While the tripod socket is useful for bulb shooting mode, but position it at the bottom side of the camera limits the instant camera’s capability to provide various shots. Due to that only vertical shots can be captured by making use of the tripod socket. Among all the INSTAX, Neo Classic is one of the most costly. 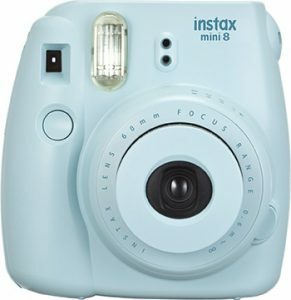 For one Neo Classic, the price is at around $130 where you can get for low price INSTAX at less than $60 like the INSTAX Mini 8. Not just the camera cost you a load but the film packs is too, in the long run add to your spending. In terms of photo quality, basically, the Neo Classic is somewhat giving out the same result as the other INSTAX camera. But it is worth buying if you love to party and having unique photo shots that could add to your fun memory. INSTAX Wide 300 is a hard-plastic instant camera that has a bigger size and a wider frame compared to other Fujifilm INSTAX cameras. It also uses larger films with 2.4 x 3.9” and 3.4 x 4.3” film piece that results in nice print shots. With 95 mm f/14 lens and 0.9 m to 3 m and 3 m to infinity focus ranges, INSTAX Wide 300 is perfect for snapping a sharp image and the optical viewfinder is there to target spot for composing photos. The INSTAX Wide 300 though does not feature rechargeable battery like Neo Classic, but require 4 AA batteries to run, has control buttons that are pretty similar like the previous INSTAX and they are easy to locate. The power button is just by the shutter. Focus range can be chosen by twisting the lens. Flash button and light or dark switches can be found at the back of the camera. The light or dark button is built to add low and high key effects in the photo. There is also tripod socket to allow for camera standing. It is not a headache to find them and they are stress-free to use. Since the lens focus has two ranges set, issue is found when the distance is set at 3 m to infinity. It is quite unlikely to focus on a subject particularly people when they are away for as such 3 meters. Another flaw relating to the focus range is that the default setting will automatically set at 0.9 m to 3 m mode, thus, any subject beyond the range will be out of shot. Plus, the lens focus does not have auto-focus and any common fixed focus setting which is a sad truth for a camera produced by recognised instant camera company. Fujifilm seems to have problem with allocating the viewfinder at the right spot. Again with INSTAX Wide 300, the mistake is repeated whereby with a big camera of 21.6 ounces, the viewfinder is too small and sticks at the edge of the side. It is not optimal having a viewfinder that is not of use. The exposure control too, seems a bit off. Outdoor shot in particular is not quite light exposed while flash is strong indoor. This situation is however, requires some practices and try and error. But film piece is wasted in return. INSTAX Wide 300 is affordably worth to have if you love having a bigger size of the picture that the camera practically spits out and the print result is tangibly nice. 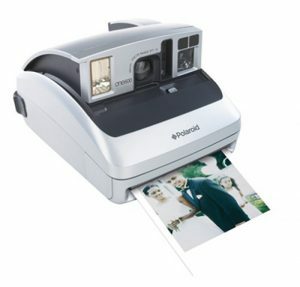 Polaroid in 2008 stopped its camera making business but produced the PoGO inkless printer, a portable machine that prints out 2-inch to 3-inch images delivered from a digital camera or smartphone. What remarkable about this printer is the inkless function it has. It uses technology that transforms the colour of a coloured crystal photo paper when heated by the device. The technology is actually created by Zink and Polaroid then absorbs the idea to invent an instant camera called Z2300. Instant camera while keeping the instant photo print tradition, it also deals with a lot of new features to fit the digital era such as display feature, edit options, self-timer, flash and video recording ability. As the size of Z2300 is considered small, 9.6 ounces, the photo paper too, is as small as the credit card size. Since the screen at the back of the camera is of a similar size of the paper piece, you can anticipate the size of your photo print out. The Zink photo paper can be inserted into the compartment located at the right side of the viewing screen. Once the photo is taken, the print out image is almost directly released. It takes not more than a minute to get a complete image which is totally different than any other instant cameras that require some waiting before you can see the full picture. To add your excitement, the photo paper is made of smear-proof and waterproof coating where your picture will come out clear and lively with a little bit of a drained look like the retro Polaroid pictures. In fact, the photo paper used with Z2300 is actually a sticker that you can stick in your diary or probably in front of your refrigerator. Purchasing this Z2300 does involve a sum of money but it is worth buying as you get to reduce your spending on battery cost since the camera uses lithium ion, a rechargeable battery that can capture around 300 photos or print about 15 images continuously before you have to recharge. The battery power strength is quite impressive too and is a value added to Z2300. The Z2300 also features red-eye reduction, cropping and saving images tools. You get to pick which pictures to print not like a normal instant camera where once a photo is snapped, the image print out will instantly be released whether you like it or not. With this option, you can reduce photo paper wastage and only print those pictures you really think are worth having. There is also photo edit feature where you can opt to add a variety of effects like black and white or sepia colour, add borders to images and you can as well have multiple images on a print paper. Having both border and multiple photos will, however, makes your print images smaller. A thing that you have to ponder before printing your fun photos. The Z2300 is not a practical instant-digital camera for everyday use as it does not have focus zooming feature. Even though it can enlarge the captured subject, there is no tangibly zooming option provided by the camera. Simply enlarging image can degrade the photo quality. One sad truth about Z2300 is that the photo print out size is small, thus, some parts of a subject is lost or the details look somewhat blurry though the photo you captured appeared sharp on the camera. Probably, this problem can be solved by switching the mode to macro since it allows for close-up shooting, thus, tiny detail can be captured. You can choose between the portrait or macro mode by toggling a button on the left side of the camera. What a wow that Z2300 has a HD video system but unfortunately, the quality is not as HD expected. It is a bit rough and grainy. If you insist to capture some videos on the camera, make sure you get an SD memory card to have your videos stored. The Z2300 is compatible with up to 32GB SD memory card. 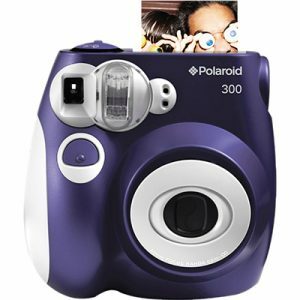 The Polaroid Z2300 has a lot of attractive features that can appeal many in particular teens and those who enjoy artistic or fun projects and memories that could be nostalgically kept a journal. The combination of instant old-school and digital modern camera add to the awesomeness of possessing it. 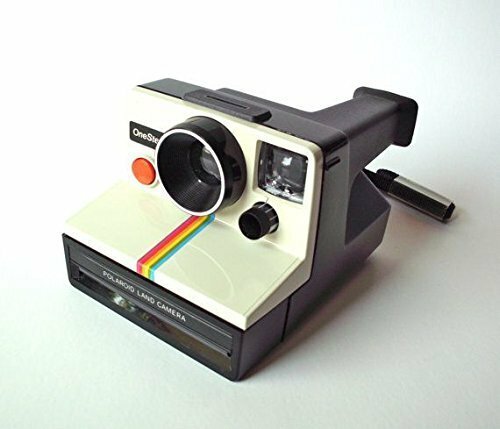 Polaroid is greatly known for its high-tech instant cameras and square photo films. 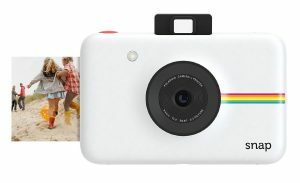 After the crisis it faced back in 2008, Polaroid partnered with Fujifilm to launch Polaroid PIC-300, a rebrand of the Fujifilm INSTAX Mini 7 that signifies Polaroid’s business card size instant photos that can interchangeably be used with INSTAX Mini. You can get Polaroid 300 which is very much easy to use. Just pull out the lens and your PIC-300 is turned on. There are only 4 settings that you can choose from namely fine, clear, indoor and cloudy scenes to allow you to capture image perfectly in any light exposure. It is also durable and strong enough to stand falling down with just minor scratches. The Polaroid 300 is furnished with 4 AA batteries and it comes in red, black or blue colour any which is cute looking just like how Fujifilm instant camera style. Stuffing the film into the film compartment at the back of the camera is just an easy task. Once the photo is taken, the picture will come out on the topmost of the camera and the image will be fully developed after about a minute. The Polaroid 300 does not have zooming feature though the lens is sharp. Sometimes it is hard to get clear people faces and long distance scenery in one place. It has its own specific instant film that works well with it. 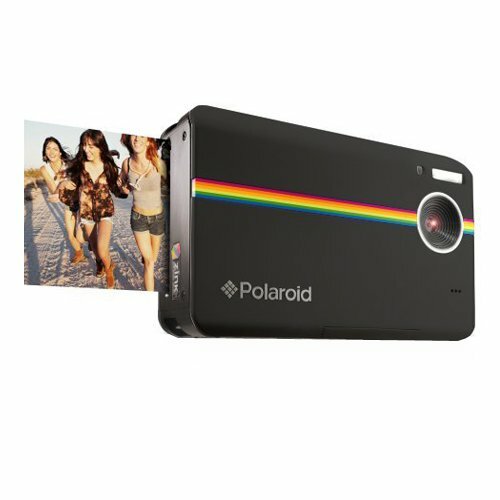 Similar to other Polaroid cameras, it uses business card size film piece which costs you about $24.00 per 2 packs of 10 films. In a long run this could be costly than having a digital camera where you get to save your memory in your computer or even your pen drive. The risk of having an instant camera is that your snapshots can be lost and the lost is not cheap or your pictures do not come out as what you wish for. With a weight of 11.4 ounces, the camera is quite heavy and the print shot worked best only in daylight as it is unsuitable for dim light and action shot environments. Any active action is blurry on the print result. The colour quality is rather poor too, depending on the light exposure. Sometimes the print picture does not appear as it is viewed from the viewfinder since it is broader than the photo’s frame. Plus, there is a situation when you want to click the shutter button, your view is blocked as the location of viewfinder and shutter button is too near one another. 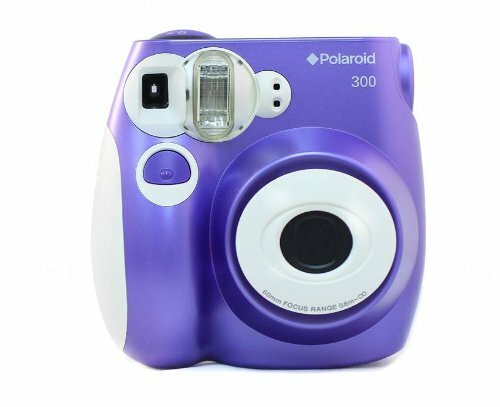 Polaroid 300 is just like any Fujifilm INSTAX camera which suits teenagers who like a toy and cute-like camera with just basic features. 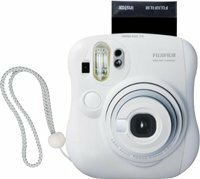 The Fujifilm INSTAX Mini 50S weight at 13.6 ounces is another INSTAX Mini from Fujifilm that featured fun and easy to use instant camera for just $88.00. The camera has 3 lens positions that are portable and automatic. One of the things that I like about this camera is the availability of two shutter buttons where one is for portrait at the top right side and another one is for landscape at top of the lens. In order to get a nice photo from a distant range, it is best if you set your focus at 60 cm distance. One of the 3 lens positions the INSTAX Mini 50S has is specifically for 30 cm close-up photos. The camera also features automatic flash and it has the capability to lighten or darken the photos based on light exposure. There is a socket for a self-timer portrait that allows you to instantly produce the same picture twice. 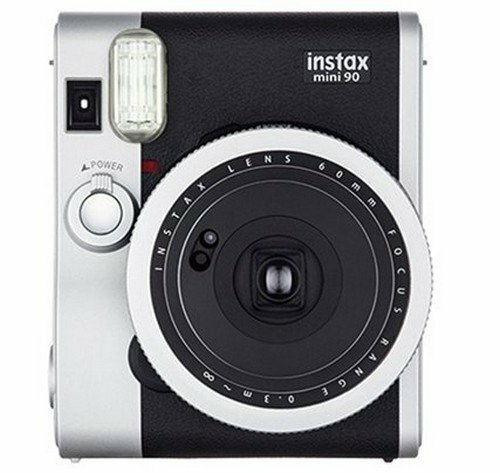 Since the photo quality is quite decent and nice as the camera is embedded with a high-quality lens, the INSTAX Mini 50S has been considered affordable with the easy-to-use features and just basic controls even kids are able to fully operate it in just one day. The camera operates using 2 CR2 Lithium Manganese Dioxide batteries. 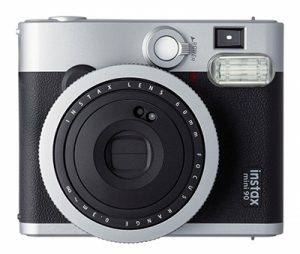 You are however, do not have any colour choices as the INSTAX Mini 50S comes with only one piano black colour and is quite heavy for a mini camera. As a mini instant camera, the film use to capture your memory is only a size of business card just like any other INSTAX Mini by Fujifilm. The small film packs will cost you around $10.00 or more for one pack. Having the INSTAX Mini 50S is a wise choice if you want good quality pictures at an inexpensive price. You will definitely feel satisfied with the camera as it has just simple basic controls and usage is very easy. Overall, this Fujifilm instant camera performs greatly. INSTAX 210 Instant Wide is one of the best wide cameras by Fujifilm. 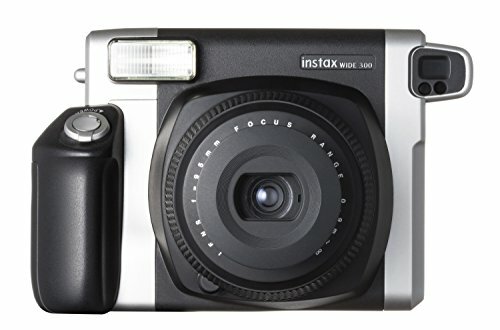 This camera is more like a revision for INSTAX Wide 300. Both the 210 and 300 share the same features and photo quality. 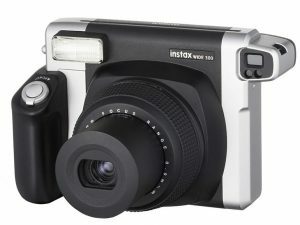 But the INSTAX Wide 210 is a cheaper version. First of all, let us look at how the film performs for the INSTAX Wide 210 camera. Basically, the film has pretty good colours, though a little bit dull, it is dependably waterproof. 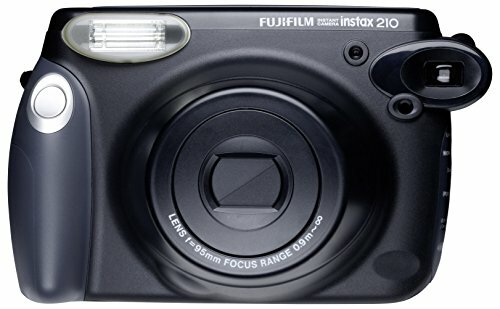 In terms of the camera features, the INSTAX 210 consists of LCD control that displays focus range, remaining number of film, electronic shutter with 1/64 to 1/200 second speed, automatic flash for dim-light shooting and two focus range options which are the 0.9 m to 3 m range and 3 m to infinity range. The shutter button is pleasantly big and the film compartment is set at a perfect location at the back of the camera and there is no issue fitting the film in. Everything about it is great. The INSTAX 210 has control over flash which is one good thing about it. However, the position of the control buttons are on the camera’s side which is impractical to switch the buttons when you are using the camera while focusing on the LCD screen. Another downside of the camera is the default macro mode. The two range option is unrealistic when you forget to change setting to 3 m to infinity range if you wish to shoot distance image. The flash is not fit for distance object as it is weak and the photo will be dim indoor. But it is a relief that this camera provides sharp picture for clear outdoor. You probably will want to consider the INSTAX Wide 210, if you love reliable and durable instant pictures with less investment. 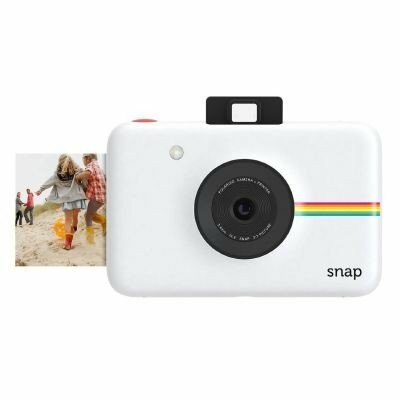 The Polaroid Snap Instant Digital Camera just like Polaroid Z2300 is a combination of ZINK instant printer and a 10-megapixel digital camera. The interesting part about this blending is that you get to have two camera functions in one physical camera. The camera allows you to store photos in a memory card and you can also print them out using 3 x 2-inch photo paper. The design of the Snap camera is so cool and stylish looking though it is made of plastic. The camera features a 10-megapixel radar, 28 mm lens, non-removable rechargeable lithium ion battery, self-timer and viewfinder. It also comes with colour setting options of monochrome, retro, normal colour, black and white and vintage sepia. In fact, you can also choose whether to print your photo in full size or with a snowy-coloured border to provide a retro and traditional feel. There is also a memory card slot that is compatible with up to 32GB MicroSD and a USB socket to allow for battery charging and image transferring. A red shutter switch and a tripod socket can be found at the bottom of the camera. For low-light surroundings, the camera provides LED flash function. There is also battery, printer and memory card status stated at the back of the camera. The optical viewfinder is not completely reliable when snapping a picture particularly when shooting close-up image. Since it does not come with a screen where you can refer to, if not careful you can accidentally capturing a wreck image. When printing an image, you have to wait about a minute before the complete photo will come out. This is a downside to Snap as the printing function is consuming and slow. Image produced on a sunny day is not quite sharp. Since Snap is poor at colour reproduction, it is preferable to capture and spit out pictures in black and white while using LED flash. Shutter speed is also slow and images are not clear as the camera sticks to lower ISO when capturing photo in less ideal situations. The photo quality is also disappointing with image that has bad quality result. I believe that performance is the top priority when purchasing a product. Even though Snap has a stylish design and striking colour but due to poor image quality, the camera probably should be purchased only by those who wants to experience a digital and print camera. INSTAX Mini 70, the instant camera embedded with modern characteristics that suit our current digital era. It comes with attractive streamlined design in three colour options namely blue, white and yellow. Weighs at about 8 ounces, the camera uses 2 CR2 batteries to operate. 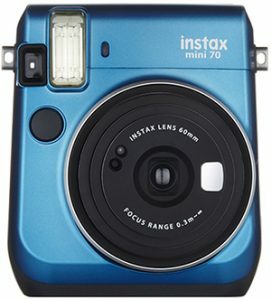 There are minimal controls over the camera’s operation as INSTAX Mini 70 is practically automatic. At the rear end of the camera is the LCD screen that displays the remaining number of film sheet. On the right side is the on/off button, and on the left is the selfie, mode and self-timer buttons. The selfie mirror built in the camera allows for selfie mode to take place. For selfie shot, the lens set to a close-up distance while self-timer can be timed from 2 to 10 seconds. The mode button is there to allow for setting changes like for instance, if you switch to default mode, the camera will only display film sheet balances on the LCD screen. Some features of the camera are mode setting to macro or landscape, Hi-key shooting and flash to fire setting that can brighten your photos. Hi-key function is not suitable for outdoor shoot as your photo can be overexposed to light exposure. However, for indoor usage, the quality is quite nice. Once again, INSTAX Mini has a problem with viewfinder. For Mini 70, problem may not occur for mid-distance shooting but macro snapshot may not meet expectation due to parallax issue. The viewfinder is not user friendly when holding the Mini 70 in a portrait angle, the shutter switch can be accessed easily but if you are shooting in a landscape direction, it is a bit of a work to find a spot where you do not block the camera lens or viewfinder. The 60 mm lens is pretty useful for a full frame image but the lens does have a limitation when it comes to selfie where there is a possibility that some parts dominated the other parts especially when you focus on portrait photo. It is not a simple task to ensure every detail of a snapshot is captured. But the shot is colour-excellent with a shiny finish. The INSTAX Mini 25, is another INSTAX Mini produced by Fujifilm as a small instant camera that matches with a credit card size of film sheet to capture an image. What I love about this camera is the simple design it has. The Mini 25 has a cylindrical design which portrays minimal look and weighs considerably light at 13.1 ounces with just 2 AA batteries needed to operate the camera. The camera is also very simple to use. With two shutter buttons that allow for a picture taking in portrait or landscape mode, it is more convenient as each mode has its specific button, thus, avoid confusion of whether you are now in landscape mode or otherwise. There is a small LCD screen to show the number count of the remaining film sheet available in the cartridge. Viewfinder and self-shot mirror are located at the front. You can even control the flash power or highlight the photo background or go to landscape mode if you wish to not having a picture captured with flash. You can also darken or lighten your shot. The flash does not tense up, thus, it works well outdoor. Since it can focus at minimum 0.5 mm, you do not have to go closer to your subject but just rely on the close-up lens to capture the image of your target. The Mini 25 has somewhat nice photo quality but there is not enough colour brightness given out to add the photo value. The photo is too vintage with less liveliness in it. Since there is no button to on/off the flash, it is sometimes a headache to adjust the flash power when flash is entirely not needed at the time the photo is shot. 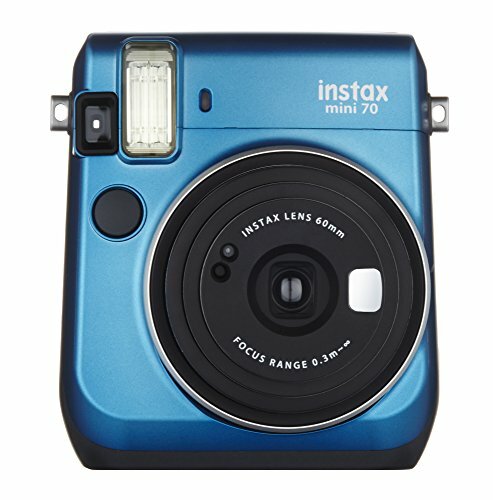 The INSTAX Mini 25 is perfect for a newbie instant camera photographer. At a reasonable price, easy to use features and light weight you can have it anywhere your vacation are or when there is an important event like a wedding reception. Lomography is one of the best instant camera providers that attract users with creativity and know-how. The Lomo’ Instant by Lomography has what it takes to be the best instant camera you should get one for yourself right now. Camera which is fairly expensive is worth the price as it features more controls than most other recognised instant cameras in the market. It includes aperture control, different mode selections and multiple exposures. 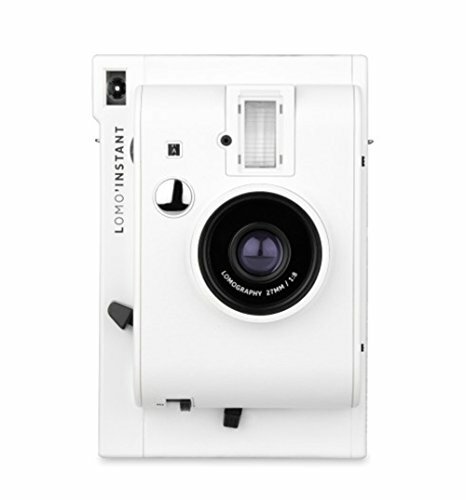 It comes in bulky design and covered by faux-leather for the white edition, Lomo’ Instant. The mode button is the most crucial control one has to get grips of as it allows you to opt to on, off or set to auto the flash setting since the sensor will detect the surrounding light exposure to set the flash mode. The shutter button allows you to choose between close-up focus of below or equal to 1 m or for other focus range at 1 m to infinity. The bulb button is meant for light splashes at night where you can capture lengthy exposure images. Multiple exposures button, when flipped, enable you to capture unlimited photos on one frame before the photo pops out. You can also adjust the aperture using exposure-compensation button in order to tune the suitable amount of light to get into your shot. There is also a mirror at the front side of the camera to allow for selfie shots. 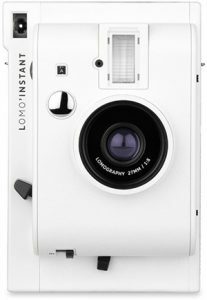 The Lomo’ Instant is compatible with Fujifilm Instax Mini film. Though the price is quite high for just 10 sheets, it is worth buy if you wish to have your memories in tangible forms. The camera is using 4 AAA batteries to get power up. Just like the film, in a long run will add to your spending, but you are at an advantage to not think about losing and charging your battery when on trips. It is interesting that Lomo’ instant provides with a lot of additional features like the colour gels that can be used over the built-in flash to provide colour effect to your shots. For instance, using bright colour will give you a delicate effect which is a nicely preferable result. The 27 mm lens works rather well, especially on selfie and portrait images. Most of the images produced by the Lomo’ instant is consider soft but upon accurate aperture and lens combination, you can get sharper images. The viewfinder is straight-through the lens which is highly appreciated but since the size is quite small, it does not work well when taking up photos with close-up lens. 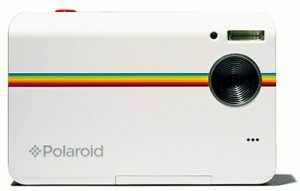 The Polaroid One 600 is among the 600 flagship inventions of Polaroid. The body design and stability deserves a thumbs up. With fold-up design, the lens is protected and the body becomes compact and it is thus easy to bring it everywhere you go. It also comes with flexible handle and rubber grip that fits any hand size and does not take up any space when it is not in use. The camera is equipped with a red-eye option and a timer. The LCD screen is also there to display the chosen setting mode, flash icon, the number of remaining films. In fact, the lens can focus at a range of up to 1.5 feet away. This is a great invention by Polaroid. The result is, however, somewhat on par with other Polaroid instant cameras. One 600 does not have exposure compensation button which is fairly unfamiliar than previous Polaroid models. You have to also be extra careful not to expose your photo with light soon after the print is released out to avoid undeveloped ruined image. With Polaroid One 600, there is no way that you could also compensate for the underexposed metering. It does not equip with on or off flash control, thus, photographer has to be able to innovate and be creative on how to control the flash exposure. Auto-focus features though showing how advance the technology has been, it stills a worry if the auto-focus does not perform as per expectation when the presence of distraction is around your should be focused image. Beware that camera will always focus on centre or front element even though your focus probably is at the farthest. With the fantastic build and overwhelming features you probably want to consider the Polaroid One 600. But a camera without exposure compensation is hard to deal with is something I will not opt for unless if the price is extra cheap and you know the trick to compensate the light exposure such as covering the exposure area with tape etc. Despite the expansion of digital camera production, demand for instant camera is still there as the satisfaction of having a physical photo is far more fun that having one in the digital system. In fact, today’s invention has created a lot of instant camera that embedded with digital element. Some people prefer the traditional features and there are some who think combining traditional and digital is better. Anyhow, it is all up to one expectation and specification. This review is written with the hope that you are able to choose the best instant camera according to your budget and the expected features you wanted your instant camera to be. Each of the stated instant cameras is produced to suit different users. It is good that you study what you think suit you the most and if you managed to find the best pros that can compensate the least worse cons on the list, you probably have found your best instant camera. If you have any question or suggestion, feel free to let us know.